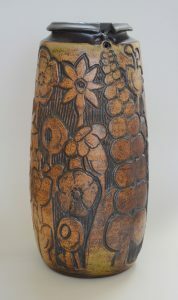 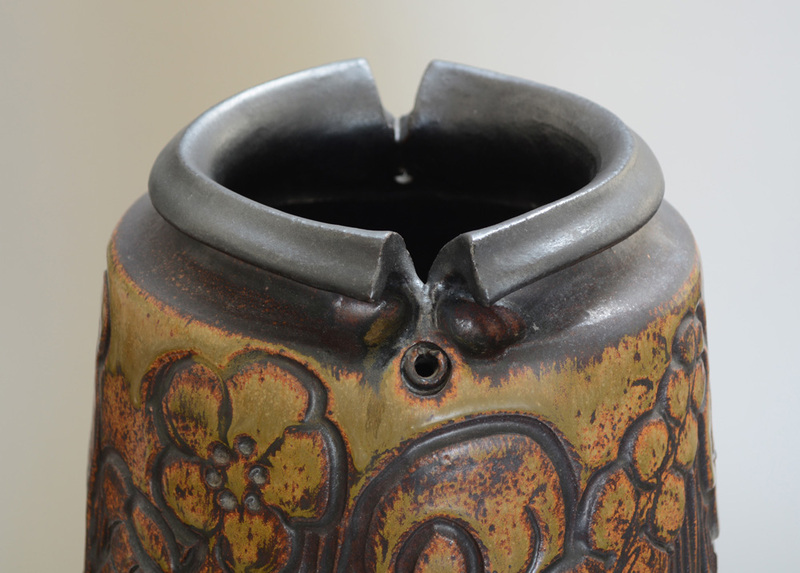 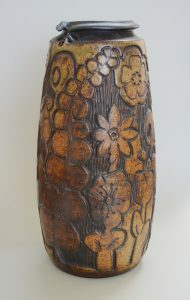 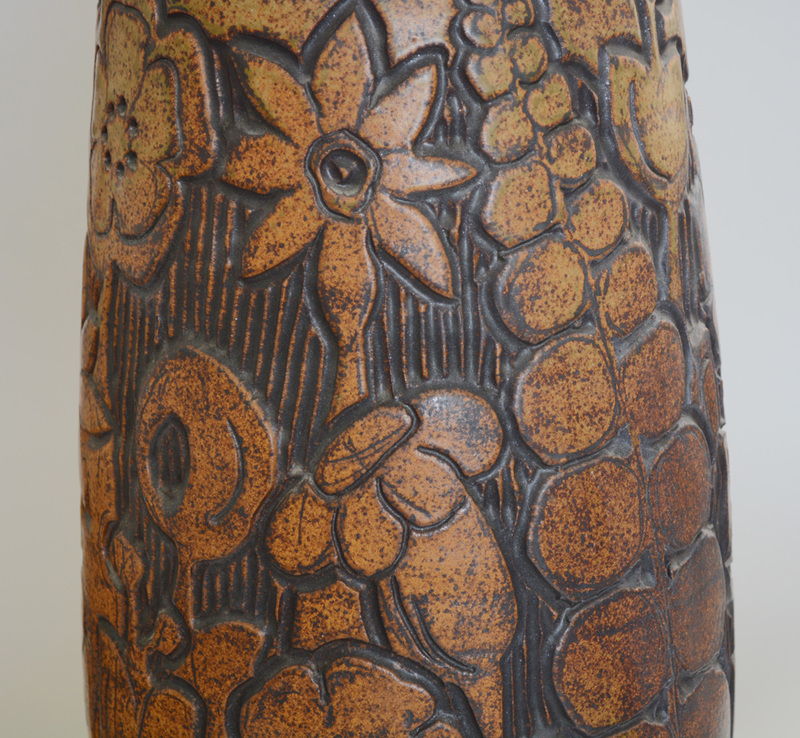 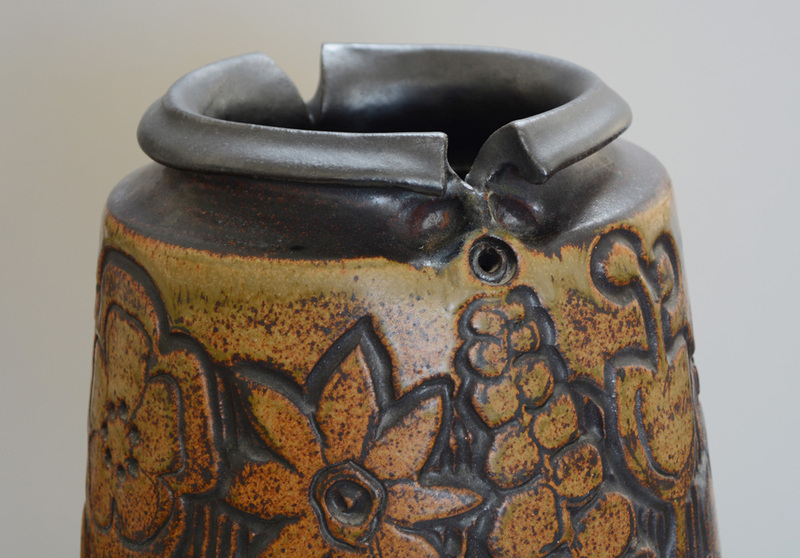 Large stoneware floor vase by California studio potter Andrew Bergloff. 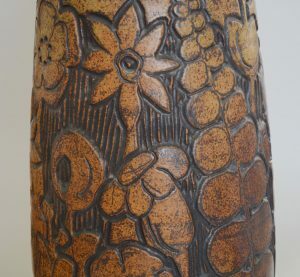 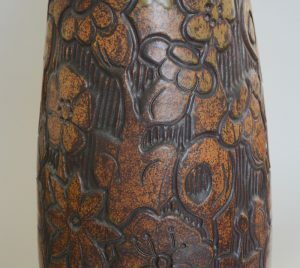 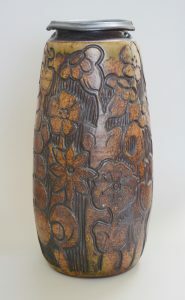 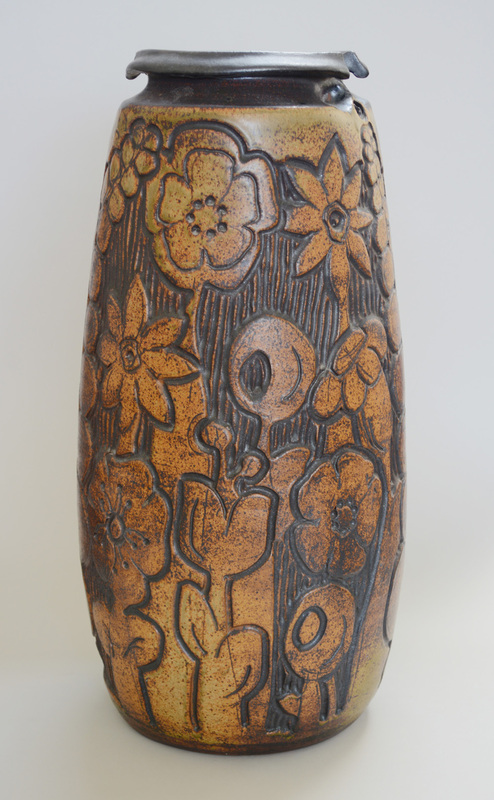 This vase has a carved botanical themed design. 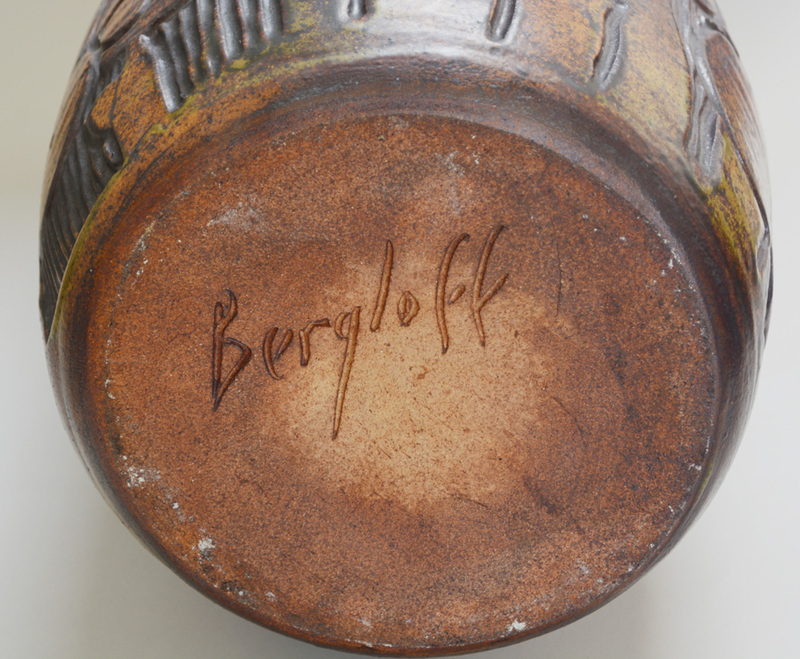 These are seen less frequently than his other forms.